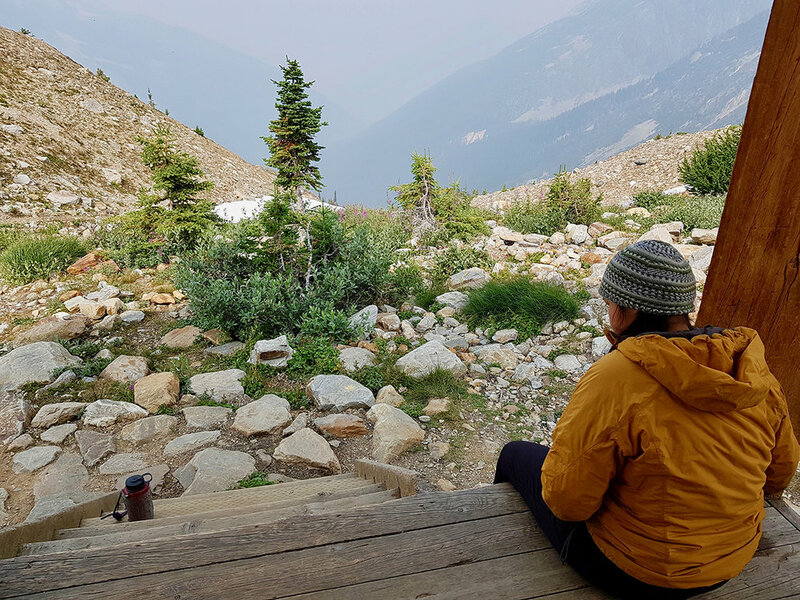 Editor’s Note - Take 10 teenage girls from diverse communities and backgrounds, base them in the wilderness for 12 days with female scientists, artists and guides, and what happens? Pure mountain magic. The ACC is proud to announce a new program for Canadian young women interested in science, art and mountains. Girls On Ice Canada (GOIC) is a tuition-free, science-immersion summer wilderness expedition that interweaves science, art and adventure to inspire leadership, curiosity and confidence in its participants. It’s tuition-free because we know that there can be significant barriers to women and youth to access mountain programs and science programs. And our community, our country and our world are better when young women have access to programs that educate, connect and build confidence. Each year we’ll take applications reflecting Canada’s ethnic, economic and geographic diversity. Mountain science has been a cornerstone of our constitution since our founding over 100 years ago. Elizabeth Parker, A.O. Wheeler and the founders of the ACC made that a priority, and there’s a straight line connecting “the promotion of scientific study of alpine and glacial regions” in 1906 and teaching glacier science to young women through the Girls on Ice program in the 21st century. And, of course, the ACC believes strongly in mountain adventures that create deep connections between individuals and the alpine world, because those that love our natural areas will be ones fighting to preserve them. In short, we want to inspire young women to be their best, and use mountain experiences to help them get there. The girls walk on glacier ice for the first time. Asulkan Cabin in Glacier National Park. We call this new, but it’s actually in its second year running in Canada. The program is modelled after the highly successful sister program delivered by the US organization, Inspiring Girls Expeditions. 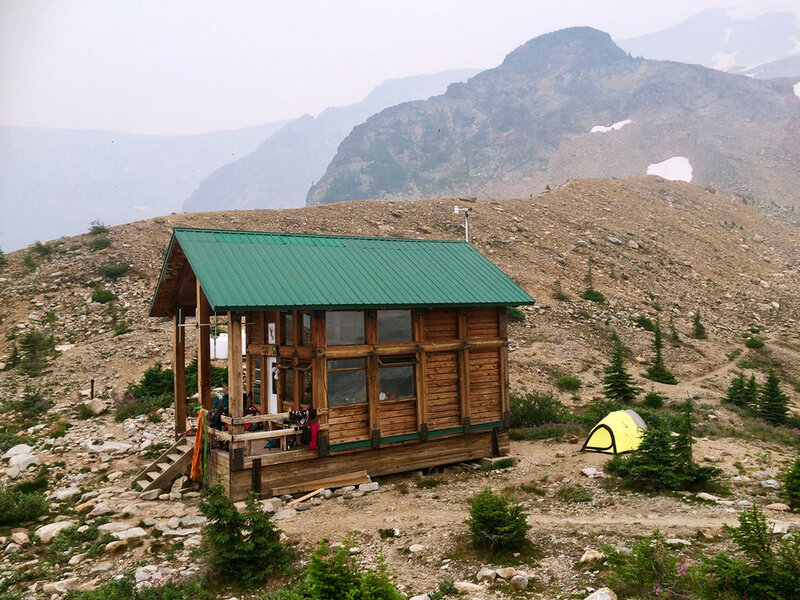 The ACC was proud to support the inaugural Canadian edition of GOIC last year, and host everything at our Asulkan Cabin in Glacier National Park. 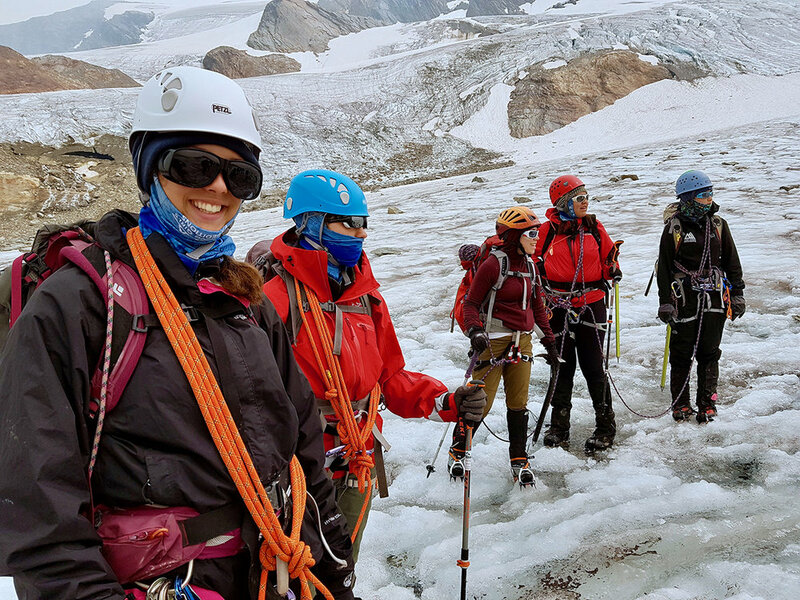 The program for 2019, and going forward, will be offered as an ACC adventure, with support from the GOIC Society, Inspiring Girls Expeditions (US), the University of Alberta and the Open Mountains Project Society. More than 40 volunteers assist with planning, promotions and applicant reviews. In July, we’ll be heading back up to the Asulkan Cabin, at the base of the Illecillewaet and Asulkan Glaciers. This area provides a perfect environment for developing scientific observational skills, understanding relationships between organisms and their surroundings, reflecting on our own interactions with the mountains through art and building self-confidence in difficult terrain. The experience is packed full of dynamic glaciers, alpine ecosystems and beautiful landscapes. The girls learn about earth science and Leave No Trace principles and complete their own science experiment. They will touch glacier ice for the first time and learn to rope up and to walk in crampons. GOIC is different from other wilderness education programs because it bridges art and science. The girls observe, ask questions and make discoveries as they travel through the landscape, recording their experiences with sketching and photography. It culminates in two challenges: a physical challenge ─ ascending a peak ─ and an intellectual challenge of designing and executing their own field experiment. At the end of each day, the team enjoys an evening ritual of talking about their experiences, feelings and thoughts. The life-long friendships are a bonus. Elizabeth Parker would be proud. GOIC 2019 is full, but girls interested in the program for 2020 should watch the ACC channels later this year for announcements of the application process. 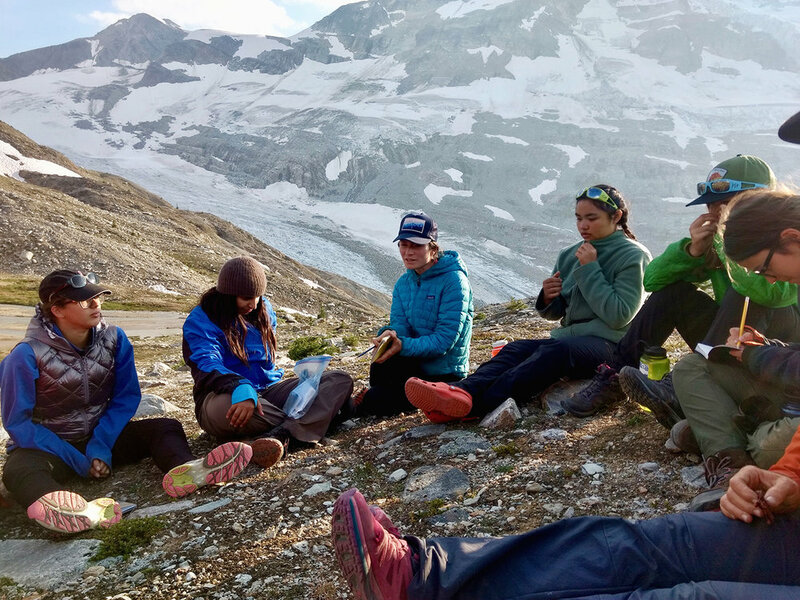 Back row (left to right): Rosemarie Smith, Haylee Yellowbird, Cece Mortenson (mountain guide), Salimah Steffensen, Chloe Urbanowski, Allison Andrews (mountain guide), Alyana Lalani. Middle row: Ellie Bash (glaciologist), Olivia Smith, Yumna Sakkar, Leilu Munro, Kaya Oro Martin, Jordanna Young. Rosemarie Smith in a glacier crevasse. 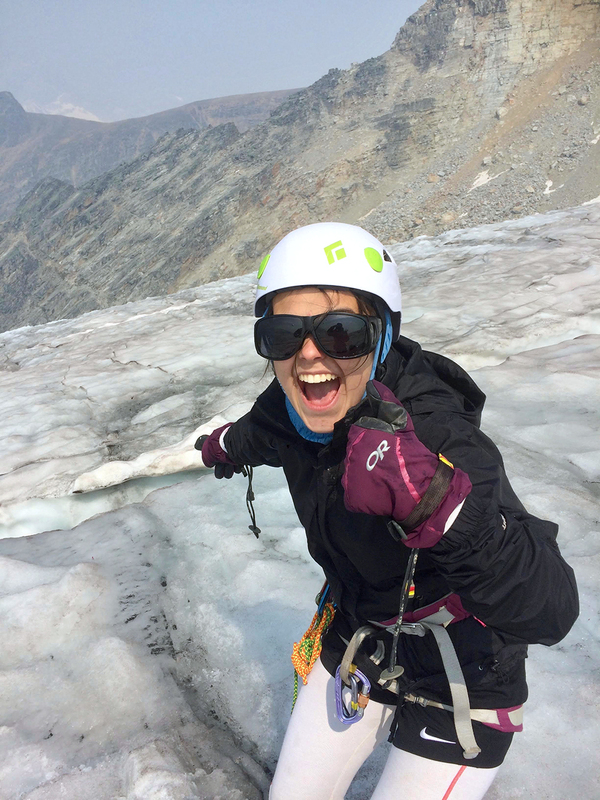 - Rosemarie Smith, 17, Kaslo, BC, who after climbing down into a glacier crevasse to record stratigraphy, decided she wanted to study environmental science in university. - Alyana Lalani, 17, Burnaby, BC.